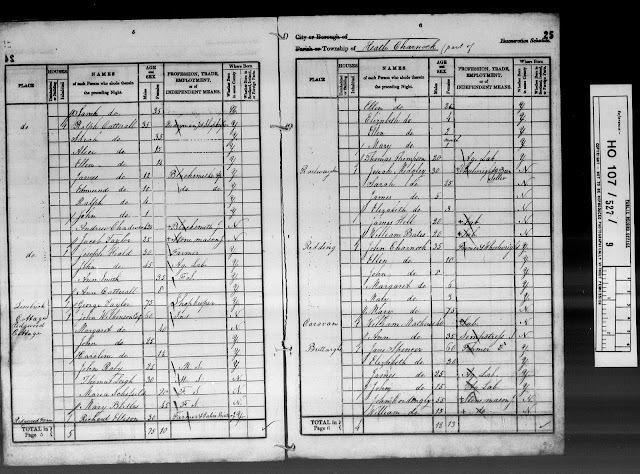 The Railway Inn in Heath Charnock only appears on one record that I can find, that being the 1841 census when a Josiah Midgley was listed as "Wheelwright & Beer Seller". The record shows that Josiah, his wife Sarah and their two children, James (5yrs.) and Elizabeth (3 yrs.) were not from Lancashire originally. Background checks on their names suggest they originated from Yorkshire but there is no confirmation of this. 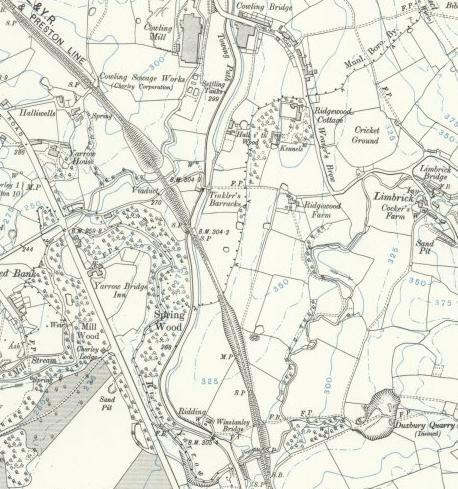 The property appears between Ridgewood Cottage & Farm and Ridding on the census enumerator's journet, and given its name I suspect it was a small dwelling in the area of Winstanley Bridge alongside the railway line and close to Duxbury Quarry, which would have provided an additional source of revenue for Josiah and his family as a beer house. After 1841 there is no record of the Railway Inn or of the Midgley's.